Sometimes a striking colour palette is the difference between mediocre and brilliant design. And with a gazillion specks in that rainbow gamut to select from, it can be an overwhelming experience to choose the right combination. That's why colourlovers.com is our go-to for all things colour. You'll find over 1 million palettes created by other colour lovers to inspire your creative projects. 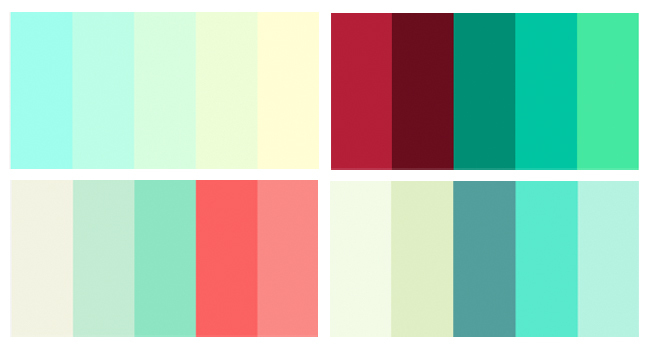 These palettes pay hommage to my favourite colour of the month... mint.